Captivate the court and commoners alike when you wear the Alluring Damsel Dress with Hood. 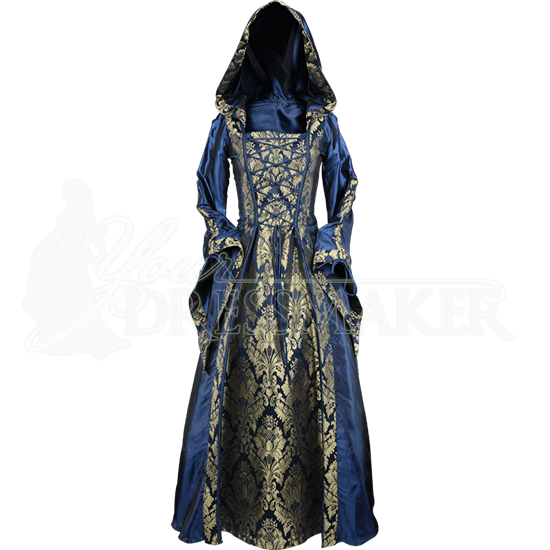 This long sleeve medieval gown is made of smooth blue taffeta with ornate gold brocade accenting the front and trimming the hood and sleeves. The hood is roomy and ends in a point, adding a fantasy flair to this gown when worn up, and the long, flared sleeves can be worn down or cinched up to vary your look. Lacing at the front and back of this Renaissance dress provides the perfect fit. 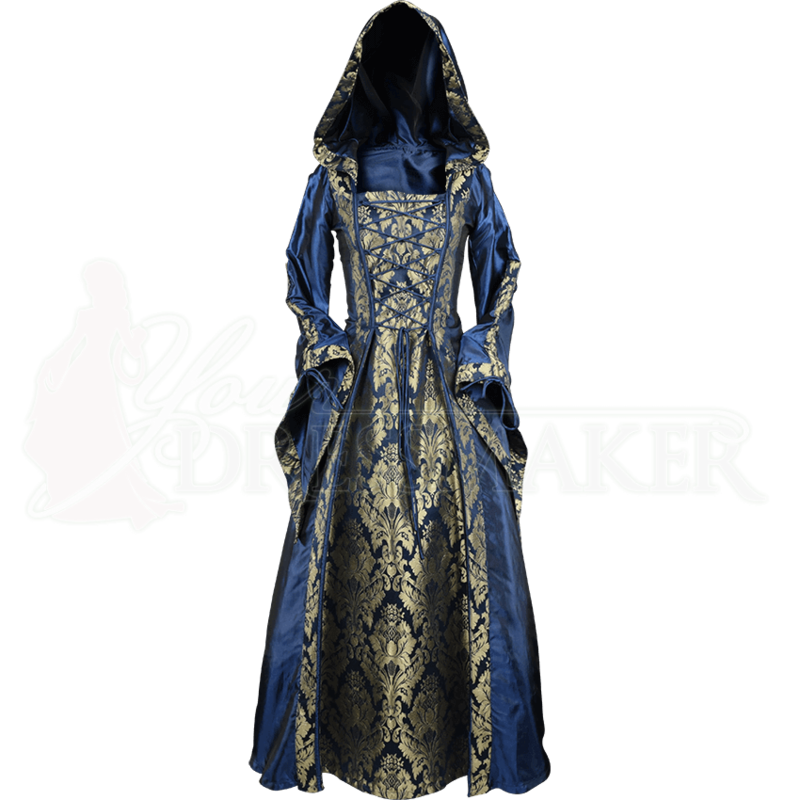 A beautiful choice for the Renaissance fair, reenactment events, costume balls, and more, this hooded princess gown has unique glamour, allure, and elegance.